Who doesn’t like to enjoy warm pizza with its delicious cheesy toppings, especially when you arranged a picnic? When it comes to having a bite of cold pizza definitely you will turn up your nose. Enjoying your warm and mouth-watering pizza makes your picnic experience just unforgettable! But keeping pizza warm at a picnic is a quite tricky task. 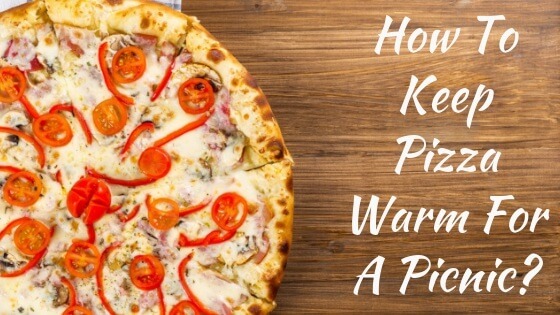 Here I am going to share with you some tips and tricks about how to keep pizza warm for a picnic. So that you can enjoy your tasty pizza anytime when you are on a picnic. If you are in a hurry, here is my favorite gadget that I have been using to pack my pizza to keep it warm whenever I am on a picnic. 1.6 Convert Your Cooler Into the Warmer! If you want to heat up the pizza on the way of your picnic, then this small gadget worth to buy! This Roadpro 12V Stove is much more compact, handy and portable design super easy to carry wherever you go. This is a perfect device for picnic, tailgating, and camping. Now you can warm up your pizza in your car! This 12-volt portable stove warms the food up to 300 degrees. You need 12V lighter type socket to plug in. It not only warms up the foodstuff but also can cook food up to 300 degrees. So now you can also cook your favorite cuisine at a picnic. This can heat up pre-cooked food to enjoy your it warm at a picnic. It can heat up stews, beans, goulash, rice meals along with pizza. 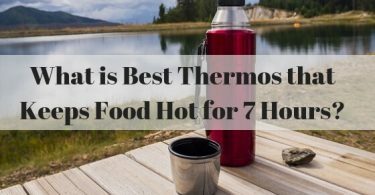 It takes up 1 hour to heat up a good amount of portion of food. This portable stove can heat up the 4 slices of pizza in just 30 minutes. You just need to double wrap the pizza with aluminum foil and keep it in this portable stove to heat up. It is the best travel companion which truly enhances your picnic experience! Watch the following video review of this Roadpro 12V portable stove. Want to know, How to Get Coffee Smell Out of Thermos? Then Click Here. The HotLogic Family Size Portable Oven is ideal to use for a family picnic, camping, party, or tailgating. It is three in one appliance- combines the technology of an oven, microwave and slow cooker. You can enjoy your pizza and other fresh food-cooked hot meal with this family size portable oven. But How to use this portable oven to warm pizza? You only need to place the pizza in the tote and simply plug in the outlet! And let this portable oven handle the rest of the job. Use flat bottomed plastic, metal or glass with the sealed lid which helps to keep your food fresh for longer. It will warm your pizza without overheating or burning. The mini oven utilizes slow cooking technology, so there is no chance of being overcooked or overheated. 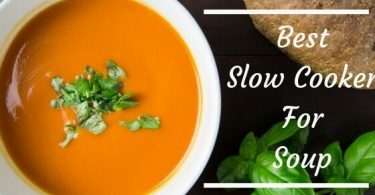 Its slow conduction heating technology heats up the food to its ideal temperature and holds the temperature is about 12 hours. You can enjoy your fresh pizza without affecting its real taste and flavor. This budget-friendly oven is energy efficient as well as easy to clean. It comes in an eye-catching design with double zipper. The Interior of the oven is heat reflective that maintains the heat precisely. Aluminum foil is another great way to keep pizza warm. You can get your warm for at least 3 hours by wrapping in aluminum foil. You need to wrap a pizza in a foil and pack in a container. If your pizza is cold before packing into the foil, you need to heat the pizza at high temperature for a short time period. By doing this your pizza gets hot but not overcooked and doesn’t affect its original taste. You can enjoy your pizza just like its prepared just now. You need to wrap pizza slices separately into the aluminum foil. Now prepare your oven for preheating. Preheat the oven at 340-400 degrees. Here, you should set the oven at accurate degree, otherwise, your tasty pizza may burn. Keep foil-wrapped pizza slices into the oven about 10 to 20 minutes. You can try this pizza stones to heat up pizza in the oven. If you are a pizza aficionado, like to eat on the go warm pizza at a picnic this Rachael Ray insulated casserole carrier is effective as well as a cheap way of keeping it warm. You can use it for holidays, parties, potluck, dinner for keeping food warm. They are comfortable to use and space saver too. These insulated bags made of triple-tek insulation which is flexible and lightweight. It has durable and BPA-free interior liner which doesn’t absorb the moisture. Its leak-proof construction prevents mess while using. It meets all the safety guidelines of the FDA and CPSC. So you don’t need to worry about food safety. It keeps hot things hot and cold things cold for a long period of time. You can place ice on the top for keeping cold foodstuff cold and hot packs under the hot food for getting best results. So, you can use insulated bags to keep your pizza warm and enjoy your picnic with delicious bites of pizza. This WHOSEE 12V Car Use Electric Heating Lunch Box Portable Bento Meal Heater Food Warmer comes in a stylish design with its unique heating technology. It uses PTC constant temperature heating. You can charge the lunch box in a car on the go. This electric heating lunch box constructed of food grade PP plastic and stainless steel material which makes it fully nontoxic. So the food heated in the lunch box is totally healthy and safe to consume. It has 2 layers and sub-grid design that accommodate different food. It can cook and warm the food to 300 degrees Fahrenheit. You can heat up pizza slices, baby food, soup, stews etc. It can warm your pizza slices in just a few minutes. This lunch box can cook a hot dog, grilled sandwiches, rice in just minutes. You can use it by plugging in a 12V socket. For warming or cooking the food in this lunch box, you need to switch on the power. Then power indicator light turns on. It means your lunch box starts to heat the food. Isn’t it easy! It is a convenient device for those who drive for a long time on a daily basis. This is the ideal lunch box to carry out for a picnic. You can enjoy your picnic with a delicious bite of warm pizza. Convert Your Cooler Into the Warmer! You have been using your cooler for getting cool air. But you can use also it for a contradictory purpose. Yes! You can use cooler to pack your pizza and keep it warm. But how can you use it? Let’s get to know. Firstly, you need some solid bricks. Wrap the bricks in the foil all the way. Heat the bricks in an oven at 300 degrees Fahrenheit about 20 minutes. Align the bottom of the cooler with some newspaper. Keep the wrapped bricks on them. Place your hot pizza on the bricks properly. Put a towel on hot food for insulation. And here you can enjoy your warm pizza when you reach your destination! Check Out Here How to Clean Zojirushi Thermos? Now, you can warm pizza without spending a single penny! Yes, you can use your old blanket to keep your pizza warm while leaving for a picnic. For this, you need to place pizza boxes on the blanket. The blanket should be large so that you can fold it with at least 2 to 4 layers. Fold the sides of the blanket to cover the box entirely. Most of the cars come with car seat warmer. If your car has a seat warmer you can use it to keep pizza warm for longer. So, you can keep your pizza warm throughout the journey until reach to a picnic spot. You just need to keep the pizza on a car seat and turn on car seat warmer. If you need to keep pizza warm for longer, cover the pizza with a blanket or towel. Do you want to know about facts glass kettle cleaning? Then Click Here. Now you know how to keep pizza warm for a picnic. These all are super easy to use and budget-friendly alternatives. These alternatives can keep your pizza crispy and moist. So, you don’t need to have a soggy pizza while you are on picnic. You can enjoy warm and tasty pizza and takes your picnic experience to the next level! Can You Use Wok on an Electric Stove?